Showered With Love is a lovely kit by Shel Belle Scraps that I got the pleasure to work with. It is part of the March BNP (Bits N Pieces) at Scraps-N-Pieces. The pastel colors are gorgeous! 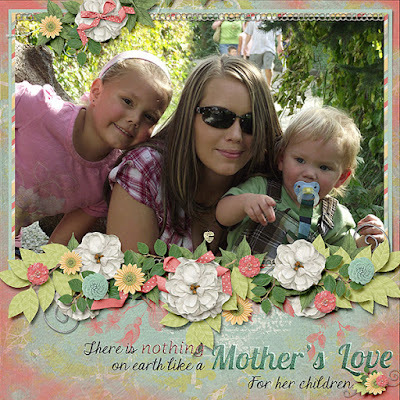 You can get this kit at the Scraps-N-Pieces store here. Be sure to check out her other kits while you're there too! 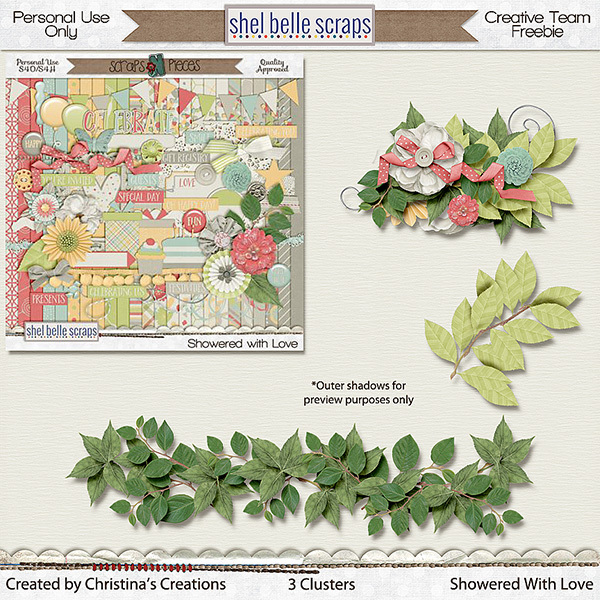 I made a free cluster for you from the kit, and also included 2 of the leaf clusters that I made while creating a layout with the kit. You can find the download links below. If you would like to visit Shel's blog and sign up for her newsletter, you can find it here. And here are your free clusters. You can download them by clicking here or the link below.